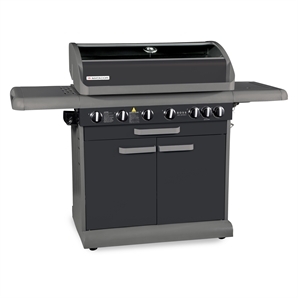 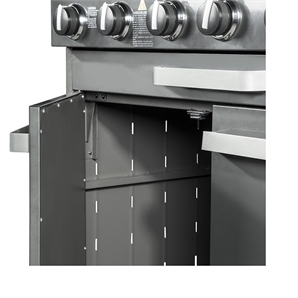 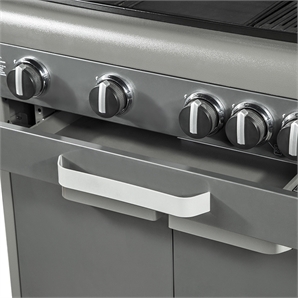 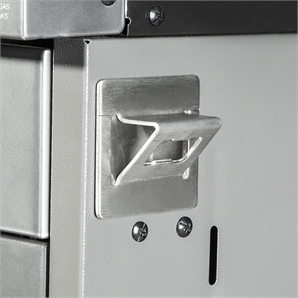 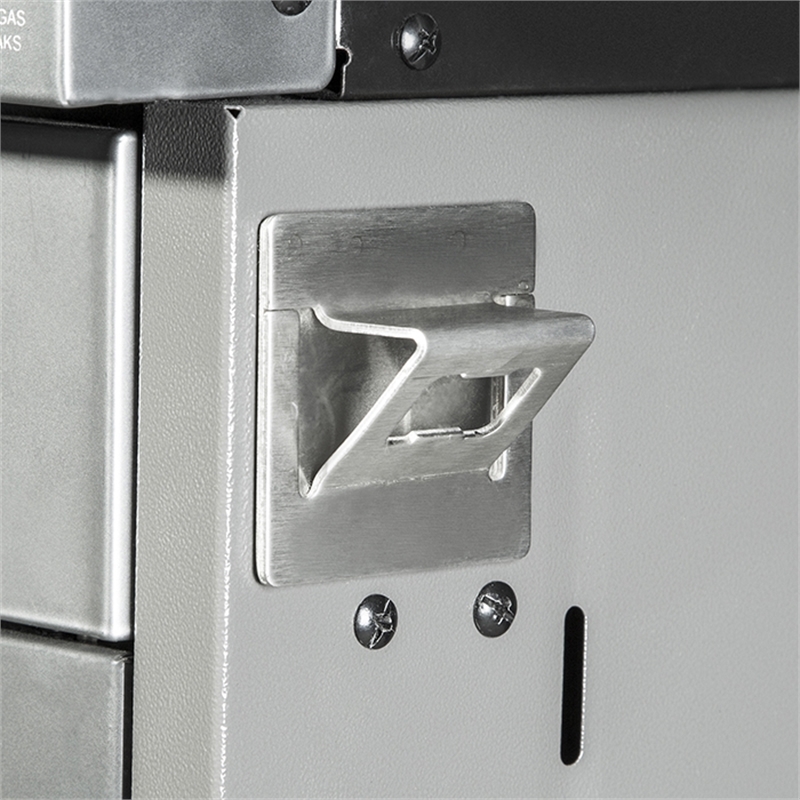 The Matador 6 Burner Hooded Boss BBQ with Side Burner features a zinc seal steel with grey powder coating with enamel cast iron burners and satin enamel cooking surfaces. 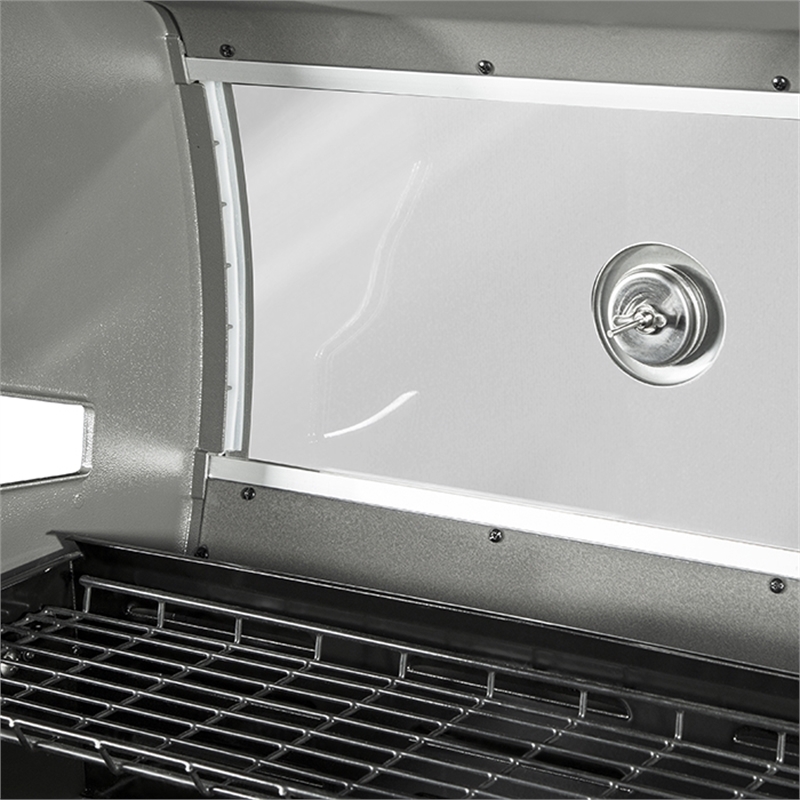 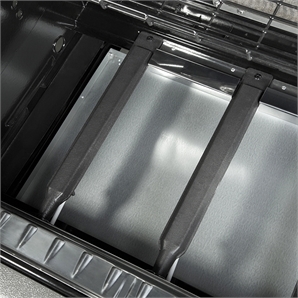 With soft closing drawers and double skin doors, this BBQ also boasts a self-cleaning hood and viewing window. Auto-ignition on each burner makes lighting easier, plus a side burner gives you added versatility. 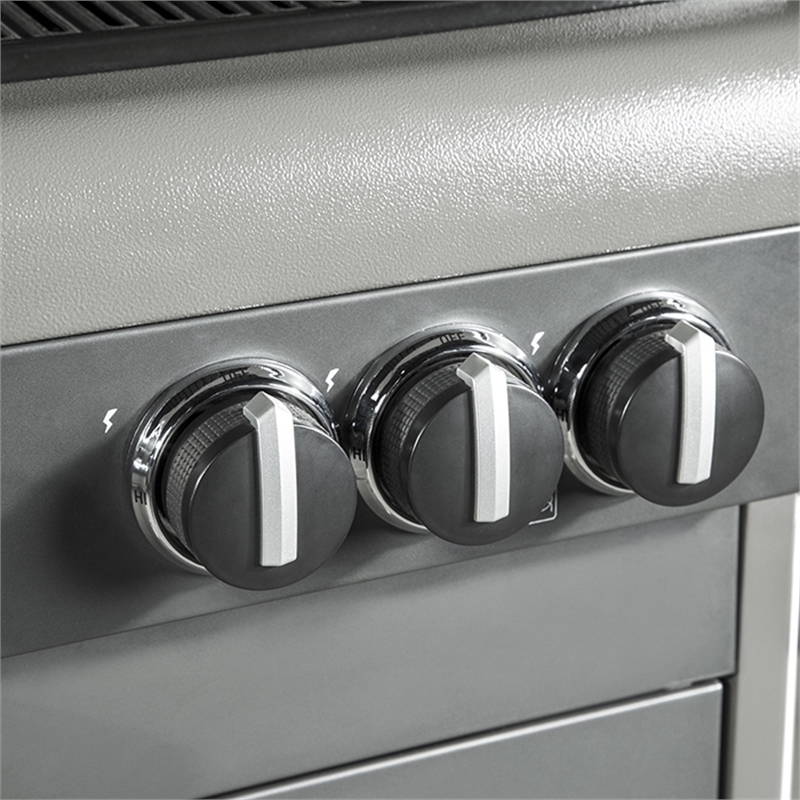 Made with a durable, enamel coating these cast iron burners are built to stand the test of time. The enamel coated warming rack is ideal for gentler cooking, resting meat or keeping your food warm. 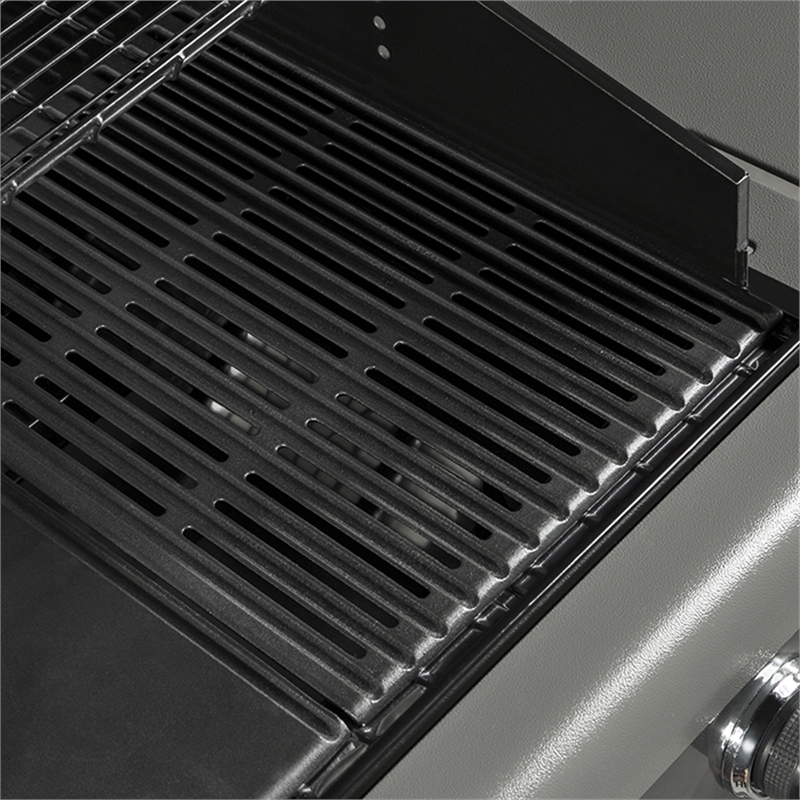 Grillsmart hotplates and grills feature specially designed channels that redirect the fats and oils away for healthier cooking, reduced flare-ups and easier cleaning. 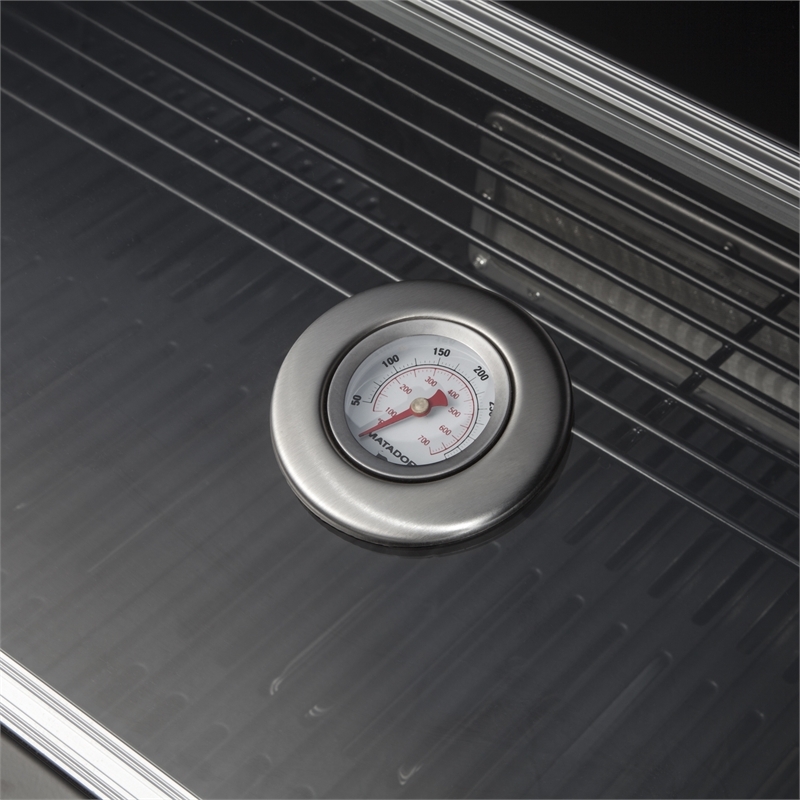 Expand your BBQ repetoire with the versatility of a wok burner. 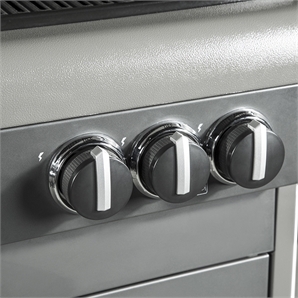 Dual ring burners provide the higher heat levels perfect for stir frys.